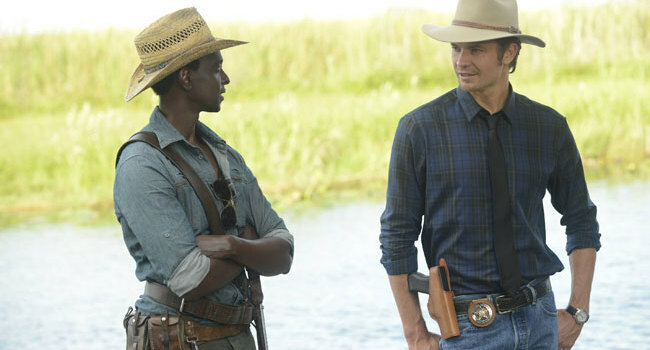 In Justified, Raylan Givens (Timothy Olyphant) is a U.S. Marshal that enforces the law in his Appalachian hometown. Though set in modern times, his tough lawman persona is reminiscent of 1870’s Deadwood.